This is a vivid portrait of a quite peculiar land: the Australia of the late ’60s and early ’70s. 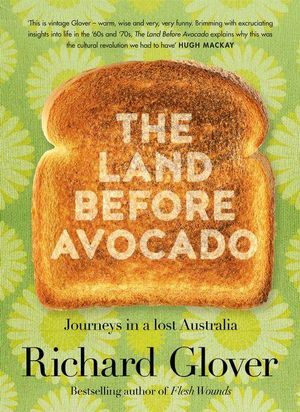 The Land Before Avocado will make you laugh and cry, feel angry and inspired. And leave you wondering how bizarre things were, not so long ago. Let’s break the news now: they didn’t have avocado.